Intelligence is the one thing that Britain First's Intelligence Chief Doesn’t Possess! 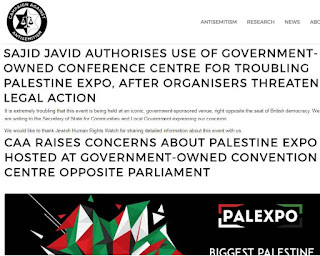 Readers of this blog may recall my recent story about the Zionist picket of Palestine Expo 2017, on July 8th and 9th. This picket, which was organised by Jonathan Hoffman, a former Vice-Chair of the Zionist Federation of England & Wales, was in protest against the ‘anti-Semitism’ of Europe’s largest Palestinian festival. 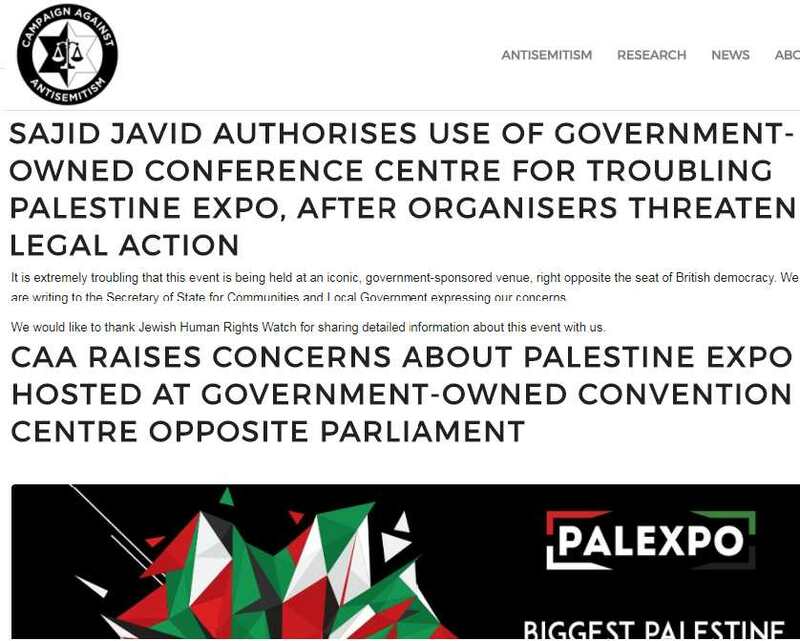 The Zionists pulled out all the stops to get the government to cancel the booking with the Queen Elizabeth II Centre in Whitehall alleging that it was a Jewish hate festival. You got the impression that anyone Jewish would be in danger of their life if they set foot in the QEII Centre. 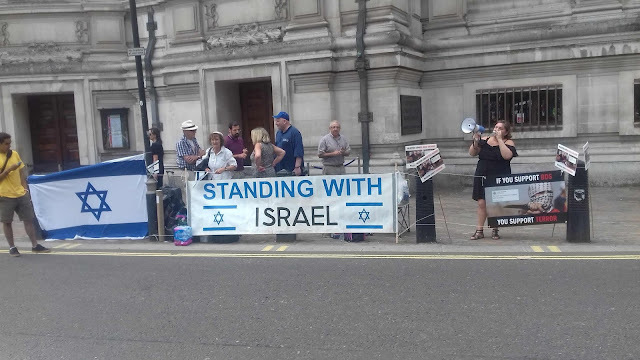 Of course the many Jewish attendees and speakers thoroughly enjoyed themselves. Apart that is from David Collier and Hoffman, both of whom were requested to leave. 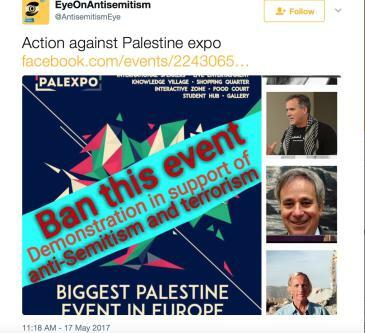 So concerned were Hoffie, the misnamed Campaign Against Anti-Semitism and the even more absurdly named Jewish Human Rights Watch, with ‘anti-Semitism’ at Palestine Expo 2017 that they decided to hold a joint demonstration with anti-Semites! Presumably on the basis that if you can’t beat them join them. 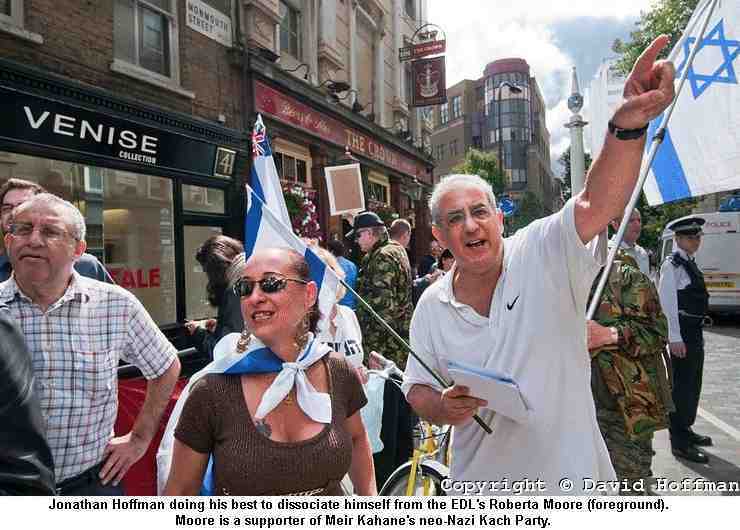 Amongst members of the far-Right in attendance was none other than Paul Besser, Britain First’s Intelligence Chief. Besser is no ordinary fascist, he considers himself an astute businessman and he is in the security business no less. It would seem that Besser is as clueless about running a business as he is about politics. He claims he is Jewish but that doesn’t stop him joining a neo-Nazi group that had Thomas Mair, who murdered Jo Cox MP, among its ranks. We have been sent a number of clips of Besser’s attempts to break into the ranks of the security business and challenge the likes of G4S. As the graphic below shows, having decided to go into the security business he was stuck – where could he get a model contract from? He then decided to branch out and start running Citizenship and Life in the UK courses. Judging by this advert he might brush up his spelling first. He wonders what qualifications might be necessary! How about an English GCSE for starters? Eventually a fellow fascist messages him back saying he has some templates that might come in handy. Unfortunately he seems to have had no end of trouble with other security firms! However no one can blame him for not trying. His request for a ‘lesson palan’ (sic) should bring a tear even to the hardest of hearts! For those who are interested in contracting with Paul’s business I have helpfully posted his details for you to peruse. I am also posting a pic. of his the registered office of London Security Patrol- 7 Boundary Road WALTHAMSTOW E17 8NL 0798 352 1403 0208 281 0157 in order to help you make a decision. I note that Besser says he has more than 15 years of experience in the security industry. A claim that might fall foul of the Trades Description Act. He also says that he has previously worked for the Metropolitan Police. However he doesn’t say in what capacity! Whether being a prisoner counts as having worked for the Met is a moot point which I confess to not being qualified to answer!